Cultural Compulsive Disorder: The CCD Podcast: Episode #47 - The Wrestlemania 31 Preview or "C'mon Cena.... Will You Just Turn Heel Already?!?" 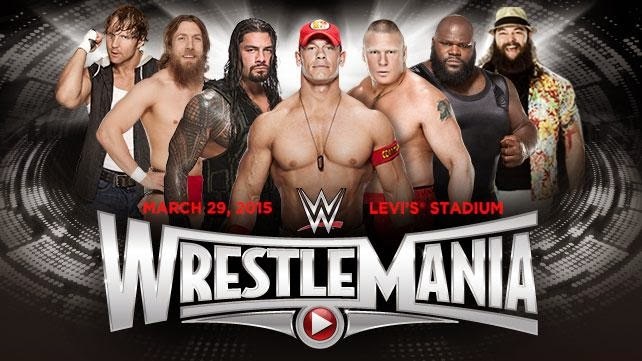 The CCD Podcast: Episode #47 - The Wrestlemania 31 Preview or "C'mon Cena.... Will You Just Turn Heel Already?!?" Wrestlemania is here baby... #31 to be exact! So who better to run down the card and all that is going down in anticipation of the big show than Jedi Rob, Joey Esq and the one and only Steve Resk from the SRG Universe Super Show Wrestling Unpredictable Card Game! These guys know their wrestling, and they ain't afraid to talk about it. So sit back and take a listen to the gang chop it up.... enjoy!